Chief minister Mamata Banerjee on Friday inaugurated the 1.1km ramp connecting the Parama and AJC Bose Road flyovers before unveiling plans to build another one till Ballygunge Phari to make the city’s longest elevated corridor also the widest in terms of reach. 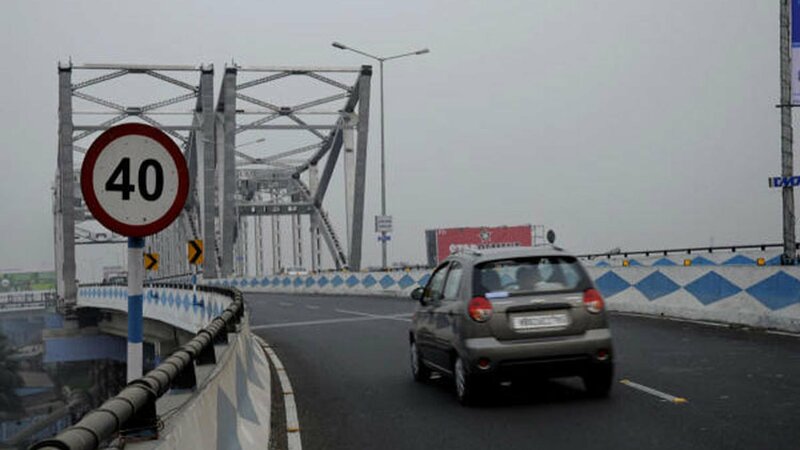 “RITES (the consultancy arm of the railways) has been asked to conduct a survey for an arm of the Parama flyover up to Ballygunge Phari,” Mamata said after cutting the ribbon and throwing rose petals in the air. “I thank all of you. Hopefully, the congestion around the Park Circus sevenpoint (crossing) will reduce.” The ramp, long in the making, branches off the Parama flyover near Topsia police station and runs over Congress Exhibition Road, Nasiruddin Road and a stretch of Circus Avenue before merging with the AJC Bose Road flyover at the Beckbagan crossing. The length of the elevated route from the Bypass till the Race Course Road crossing is 8.5km. According to officials of the Calcutta Metropolitan Development Authority (CMDA), a drive from Park Circus till Gariahat can be completed in three minutes if the proposed south-bound extension of the Parama flyover sees the light of day. This arm of the flyover will start at the crossing near Zeeshan restaurant on Syed Amir Ali Avenue and end in front of Kalyan Jewellers, opposite The BSS School. The estimat- ed project cost is Rs 250 crore. The government expects to get the survey report in another three months, sources said. RITES will carry out soil tests and analyse the proposed design and feasibility of the structure before listing the final requirements for a detailed project report. Metro had reported in December 2017 about a ramp towards Ballygunge Phari being part of the larger plan to create an elevated road network with the Parama flyover as the centrepiece. Sources said the extension would most likely be 2.2km long, helping traffic avoid the usual congestion points like Quest Mall, Modern High School for Girls and the Ballygunge Phari signal. On a weekday, it takes about half an hour to cross the stretch from in front of the Zeeshan restaurant till Pantaloons on the Gariahat side. “This ramp will certainly happen. For now, we are happy to have pulled off the inauguration of the ramp till the AJC Bose Road flyover,” a CMDA engineer said. “Yes, we overshot the deadline but the project was a huge challenge.” The high court had set May 31, 2018, as the deadline for the completion of the ramp. Three months past the deadline, the government revised the target to December 31. As the first vehicle went down the ramp within minutes of Mamata leaving the venue on Friday, engineers of the CMDA and HCC, the construction company, hugged in celebration..